To me, one of the main holiday chores is cooking. To me it just wouldn't be Christmas without certain dishes, so I cook (and if the truth be told, I LIKE to cook). My husband is 1/2 Italian so I try to make some Italian food for him, so when Ciao Italia Five-Ingredient Favorites: Quick and Delicious Recipes from an Italian Kitchen became available for review, I grabbed it. I'm not sure what I'll be making yet, though I have my eye on a pasta recipe. If you've never watched Ciao Italia on TV, the following article will give you an idea of the author's (Mary Ann Esposito) writing style. Not to appear to be a Scrooge, but the holidays are coming faster than the next app for the iPhone and for many, the nemesis of the holidays is simply procrastination. There is just so much to juggle to make the merriest time of the year . . . merry. 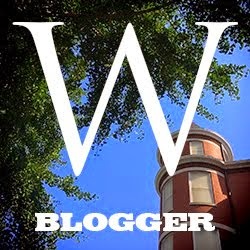 Gifts to buy and wrap, cards to write or email, cocktail parties to attend, trees to buy and decorate, cookies to bake, and . . . and . . . and. But that's just the icicle on the tree; what about the big feast? This is where a lot of people have their greatest stress for the holidays; there is just no time to cook. But wait a minute. I have a plan for you; think of it as a personal gift -- below are four tips on how to simplify your holiday feast. 1. Take Survey of The Pantry: One of the first things I do, right after Thanksgiving, is take survey of the staples in my pantry and make a list of things to stock up on now for the holidays. You can lay in healthy snacks like dried fruits, drinks, wines, nuts, flour and sugar for cooking, and all the other dry staples you need. 2. Decide on a Menu: Next, I make a menu by deciding now if I want to do an easy buffet of hot and cold foods that everyone can help themselves to or do I want a sit down meal that will be served. Make a decision and then make a plan on the food items to be cooked, and keep it simple. 3. Involve Your Family and Guests in Preparations: Maybe it's time for new traditions like inviting your guests to participate in the preparation by bringing a neighborly dish to share. You might ask for sides, salads and desserts while you provide the main course like a baked ham studded with cloves and surrounded with sautéed apple rings. So doable, and the ham and apples will require minimum effort on your part. 4. Keep Things Simple: If that has no appeal, consider going the route of doing a number of make-ahead casseroles that can be prepared now and frozen, or made several days before and held in the refrigerator. Casseroles have the advantage of serving a lot of people inexpensively. Tried and true items like lasagna, shephard's pie and chicken tetrazzini are perfect foods to serve. Add a couple of interesting salads, platters of fresh fruit and cheese and a little bubbly, and you have a party! Just recently my latest book, Ciao Italia Five-Ingredient Favorites, hit the bookstores and the premise of less is more is perfect for the holidays as well as any day of the week. I show you how with only five ingredients you can turn out some pretty nifty gourmet looking dishes without worrying if the stock market is going to crash. For instance, how about serving a sausage and lentil soup from the book and make it in a crock pot. Use the crock pot as your serving piece and let everyone ladle out their own. Or make the pork roast in Barolo wine in a slow cooker. The best part is that these recipes, and more like them in the book, can be made ahead, refrigerated and reheated. They will taste even better. So simplify the holidays by starting early to make a plan, stock your pantry, decide on a menu, involve your family and guests in the preparations and above all, keep things simple. After all, this is meant to be the merriest time of the year and even Scrooge finally saw the bigger picture of what "merry" really means. 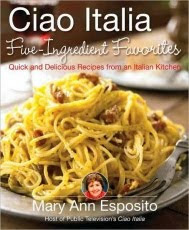 Mary Ann Esposito, author of Ciao Italia Five-Ingredient Favorites: Quick and Delicious Recipes from an Italian Kitchen, is the creator and host of the long-running PBS series Ciao Italia, celebrating its 20th anniversary in 2010. She is the author of eleven successful cookbooks, including Ciao Italia Slow and Easy and Ciao Italia Pronto! She lives in Durham, New Hampshire. For more information, please visit www.CiaoItalia.com.